Going to class at the Chico Mall is the most normal thing Paradise High students are doing after the Camp Fire. English teacher Virginia Partain had gotten as far as writing the agenda on the board before hearing she needed to evacuate. 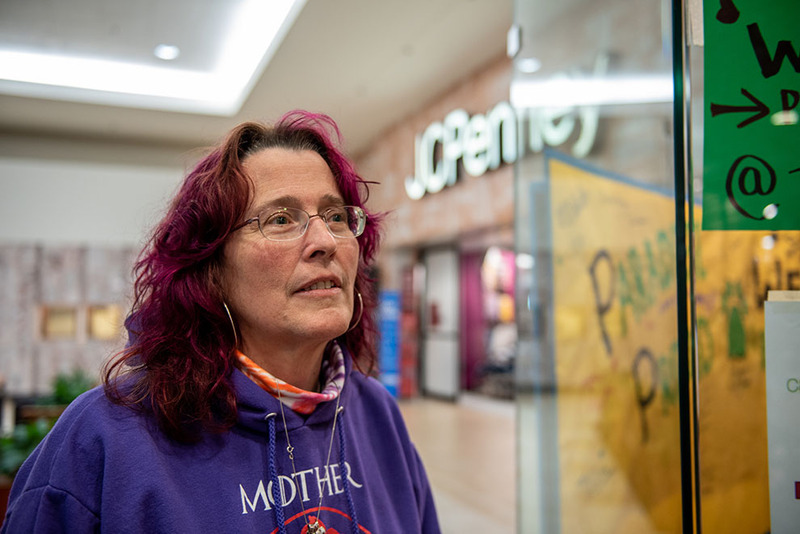 The day we met, Partain, who has purple hair and a nose ring, was wearing the same Game of Thrones-inspired purple hoodie she’d worn the day of the fire. She’d been at school at around 6 in the morning on November 8, less than two hours before the blaze hit the town’s east side, and had gotten as far as writing the agenda on the board before hearing she needed to evacuate. Her seniors had been in the middle of Jon Krakauer’s Into the Wild, and she had a discussion planned on Chris McCandless’s views on transcendentalism. Her freshmen had watched a video called Boatlift, which was about tugboat captains who rescued people in New York City on September 11, and they were supposed to write an essay about unsung heroes. “And then the world blew up,” she says. A few minutes before the first bell rang, teachers were called into a meeting and told school had been canceled for the day—and that they needed to evacuate. Soon, parents scrambled to pick up their kids. At around 8:30 a.m., Partain rushed home and grabbed her cats, Nirvana and Tranquil, along with a blanket and her students’ college application essays. “You think of your kids first, then yourself,” she says. Partain made her way out of Paradise and later found out from a former student that her teal house had gone up in flames. Her prized possessions were gone: the paintings she made, a quilt made from her husband’s shirts, her Buddha, the stone peace sign sculpture her husband bought her the time she was in the hospital. Since the fire, Partain has lived in a small cottage in Chico. She has turned to writing as a way to heal and has asked her students to do the same. Some days, she says, she doesn’t want to get out of bed and breaks down in tears. “I’m grateful that I have the students to care about because it helps when I have a bad day,” Partain says. Paradise Elementary School was destroyed by the Camp Fire. Many students are now attending classes in nearby towns. Rosa Furneaux/Mother Jones. She and her mother fled to her grandparents’ house, just a few minutes away, to make sure they were okay. Her grandfather wanted to stay to protect his home, where he lived for most of his life and where, Harmony said, he thought he’d die. She and Jennifer drove to her house and grabbed whatever possessions they could. “My mom grabbed my homecoming crown instead of her medication,” Harmony said with a chuckle. They couldn’t leave Paradise until the afternoon when the sky was as dark as night and propane tanks boomed in the distance. As she left town, she saw her best friend’s house was destroyed, among many others. She could feel the heat inside her mother’s car.